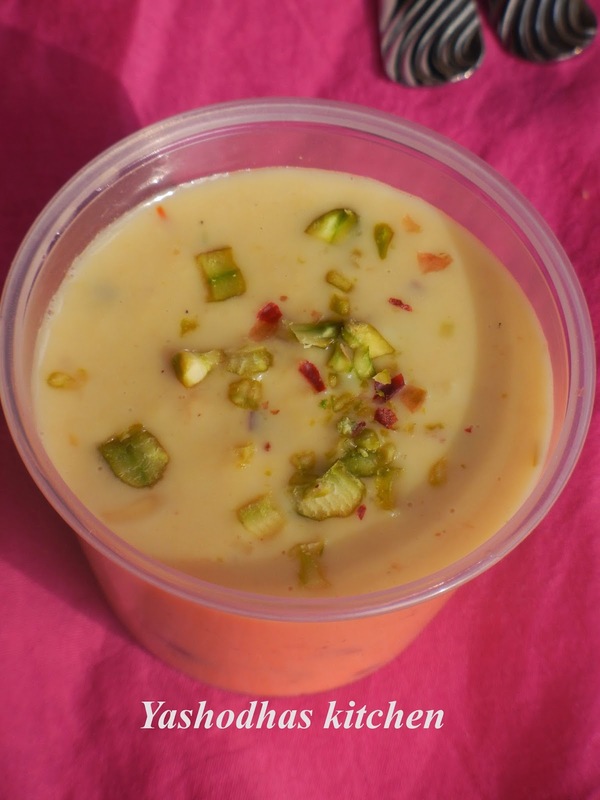 Basundhi is an authentic rich and delicious dessert from Gujarat which is similar to Rabdi. 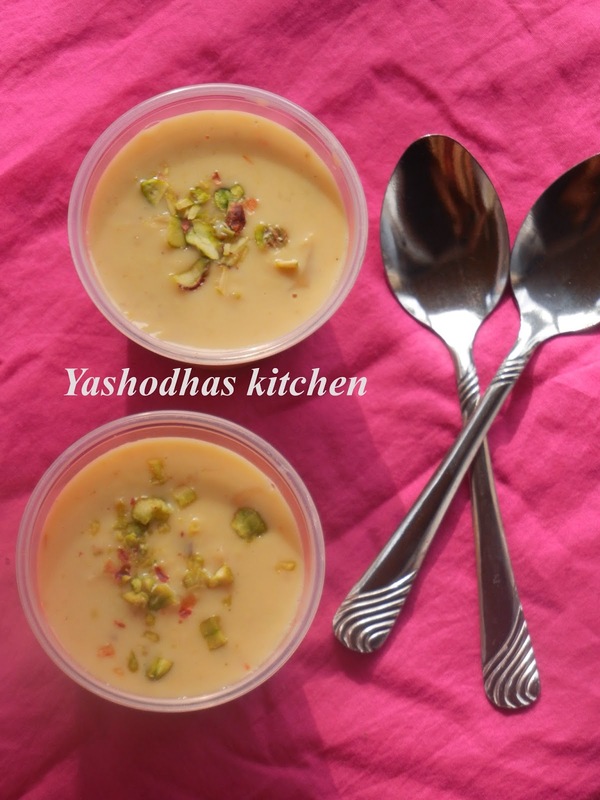 I love this thickened milk dessert to the core. It is very simple to prepare and no way to go wrong. 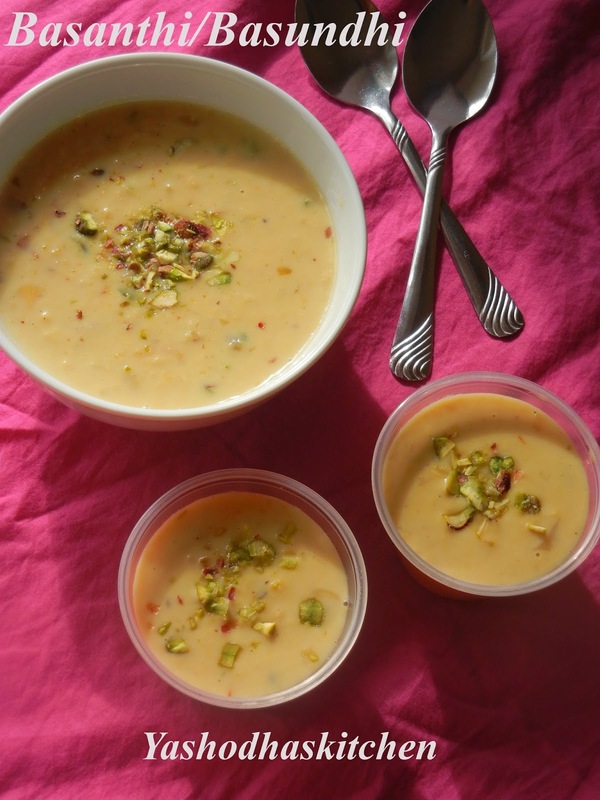 For the first time, I made this yummy cold dessert for my friend Gayathri on her birthday to make her day special. Now coming to the Shhhhh Cooking Secretly Challenge (SCSC) which is started by Priya Suresh akka from Priya's versatile Recipes. This is the first post of this challenge. My Partner for March month is Prathima Shivaraj from Prathu's food. She gave me 2 secret ingredients which are milk and cheese. Let me share this delicious recipe which I got from my grand ma(Ilamathi Paatti). When I was pregnant, She made this favorite dessert specially for me. Take milk in a wide mouth and heavy bottomed vessel, allow it to boil. Once the milk started to raise up, reduce the flame to low and stir occasionally. In the mean time, chop all the nuts I have mentioned. There is a thin layer formed on the top of the milk. You should remove those layers into a small bowl and keep it aside for future use. Repeat this step until the milk is reduced into 1/2 of its quantity. Add all the nuts, cardamom powder and crushed saffron to the reduced 1/2 quantity. After 5 minutes, just stir the milk and add the removed layers from the milk which are stored in the small bowl for the future use. Keep on stirring occasionally and scraping the sides until the milk reduced to 1/3 of the quantity. Basanthi is ready now. Allow it to get cool and store it in the refrigerator. While serving, garnish it with nuts again and serve chill. It will be more delicious. Here I used the traditional method to made this delicious sweet. You can also use the combination of milk and condensed milk to prepare quickly. But I always love this traditional method. It gives the fabulous taste than the quicker method. Please make sure don't allow the milk to get burn in the bottom. The flame must be low for the whole process. 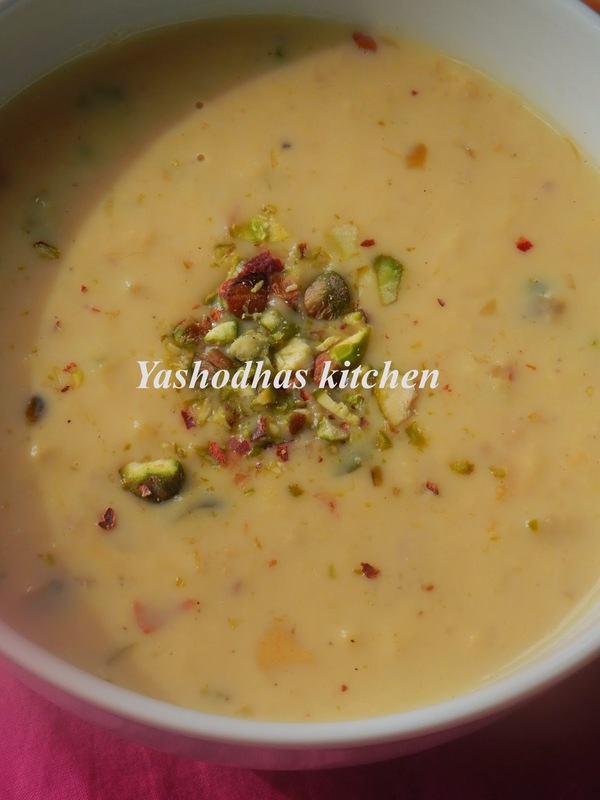 Delicious yashoda. It's my fav sweet dat I die for..
G'day! This looks terrific and wish I could come through the screen and try some now! Well done completing this month's challenge too! 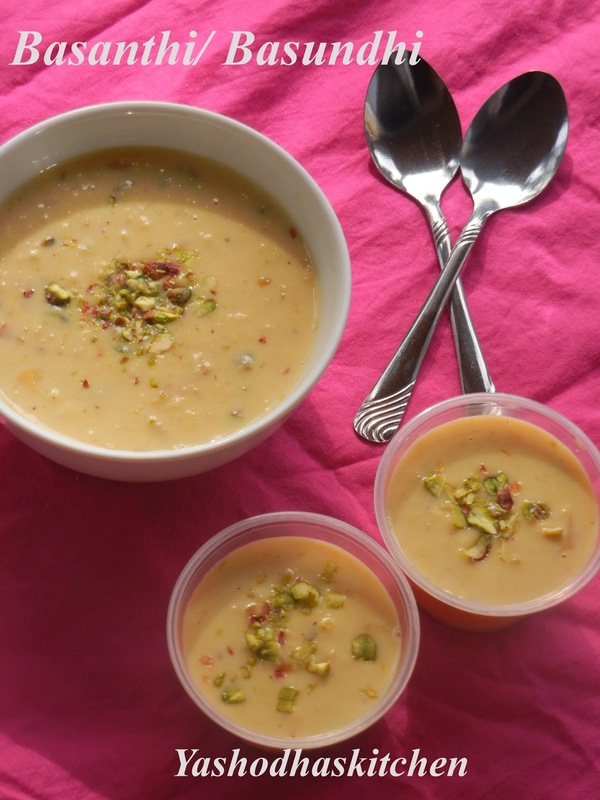 Omg, wat a delicious basundi, hard to resist.. You have done a beautiful dish with ur secret ingredients Yasodha, too prefect. Looks too good.. Yummy dessert..